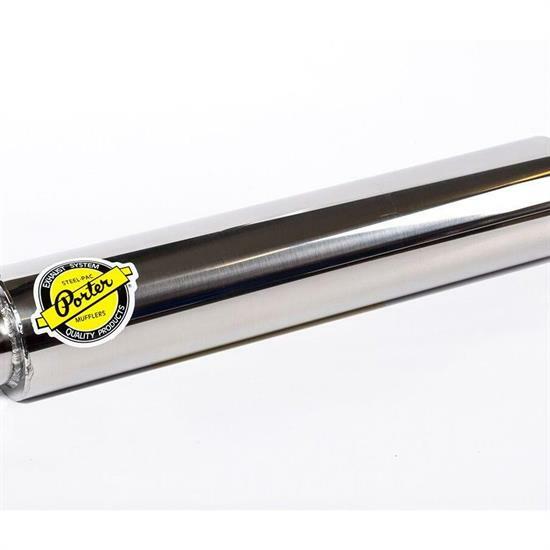 The stainless steel Porter Muffler is handmade using heavy duty 16 gauge, highly polished aircraft grade, 304 stainless tubing. The uniquely designed interior chamber is fitted with a gapped steel spring and packed with stainless steel wool to channel the exhaust and make that distinctive Porter Muffler sound. To continue tradition of quality each Porter Muffler is handmade using only the best heavy gauge and high quality steel products sourced in the U.S.A.